Here is a great during shot of roof cleaning we did back in 2011. 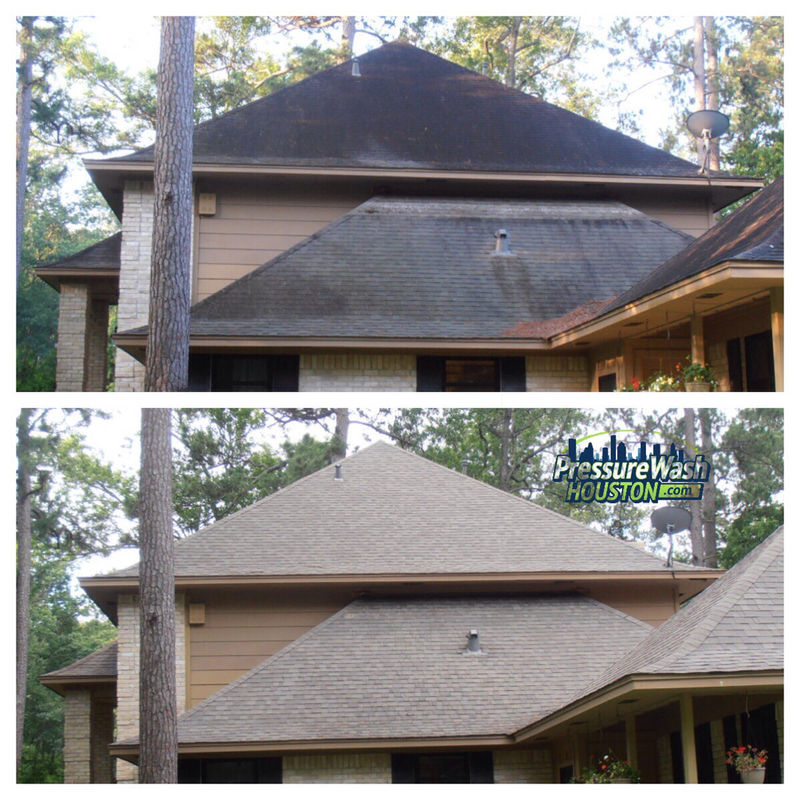 This Kingwood Texas Roof Cleaning was done using no pressure washer. We used our Soft Wash cleaning equipment to remove all the black algae stains and return the roof back to its natural color. Using a pressure washer at even low pressure can and will cause premature granular loss. Call or Text us today for a FREE ESTIMATE. Forgot about this Kingwood roof cleaning picture. Here is another part of the same Kingwood Texas Roof cleaning house we did.